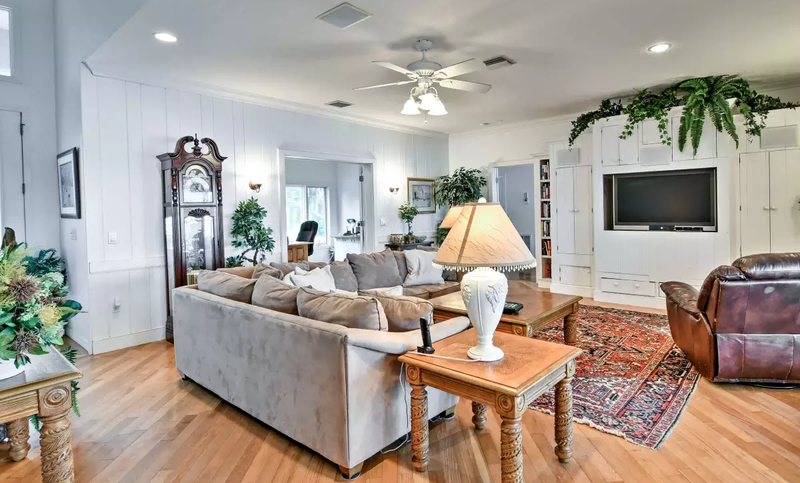 Escape to a summer retreat in this beachfront 5-bedroom, 5.5-bathroom Englewood vacation rental home on Manasota Key! 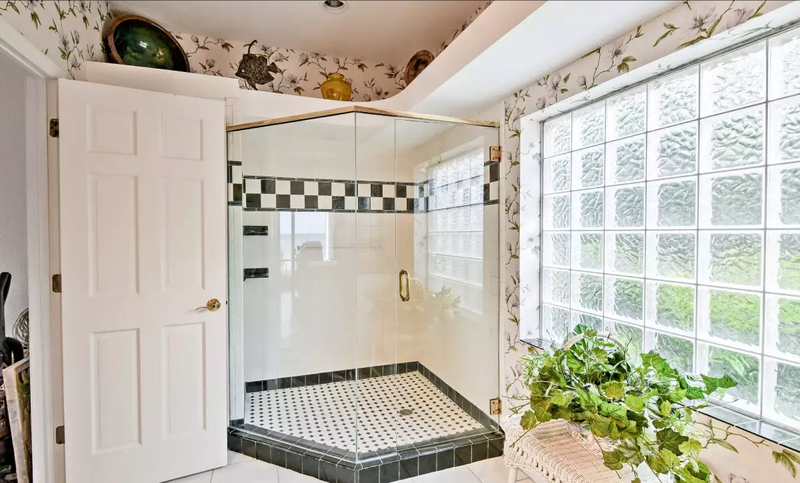 With all of the comforts of home, this 4,500-square-foot abode accommodates up to 12 guests for an unforgettable getaway. 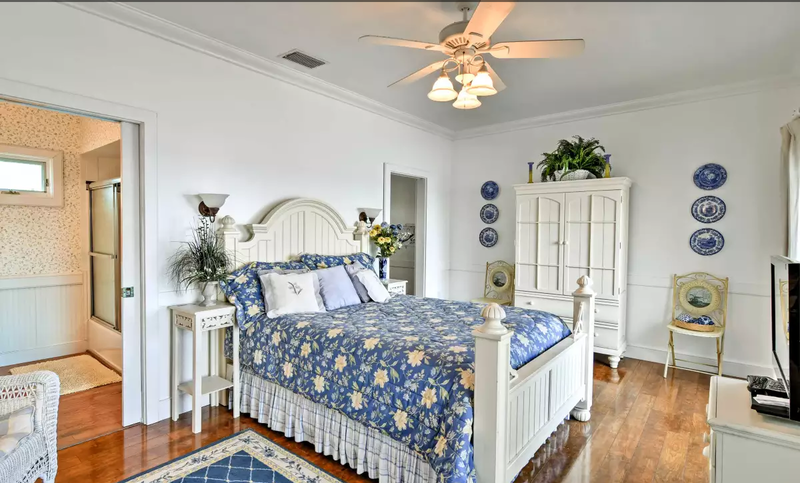 The prime location allows you to sunbathe on the white sand right off the patio, search for the perfect seashell, and swim in the Gulf of Mexico while also enjoying close proximity to restaurants and shops. Your next ‘Sunshine State’ trip awaits! 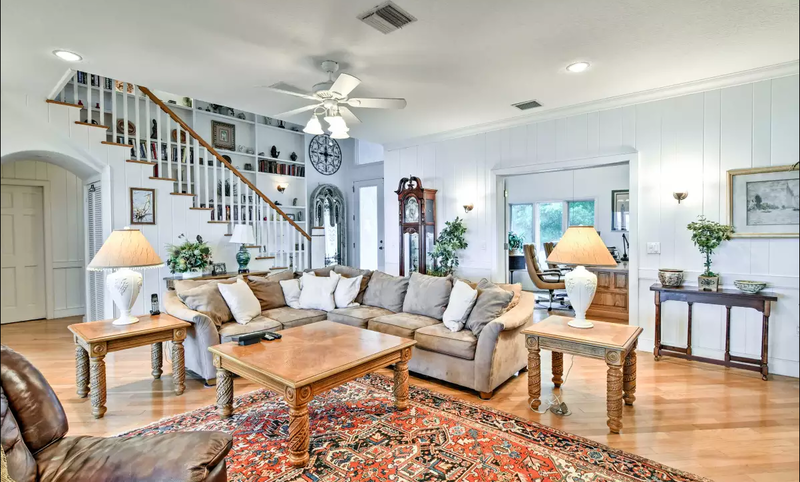 Your worries will drift away as you step inside this luxurious 2-story Englewood house. 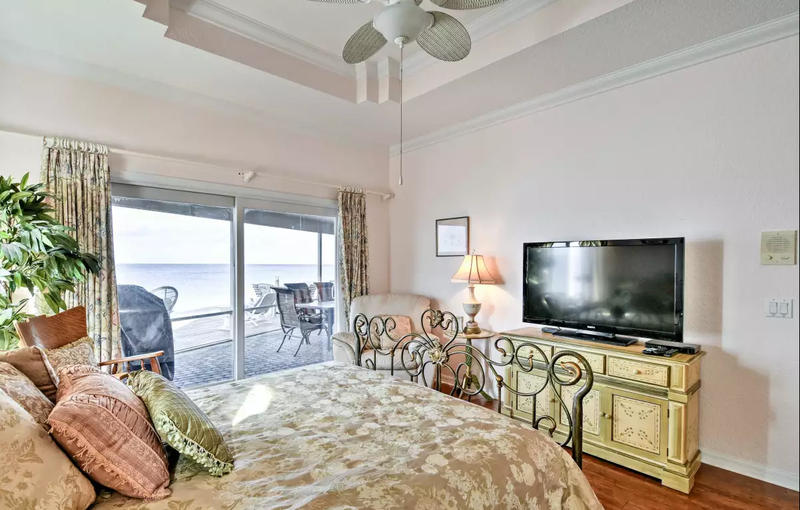 Numerous windows provide calming views of the Gulf of Mexico while tasteful decorations and comfortable furnishings invite you to relax in style. 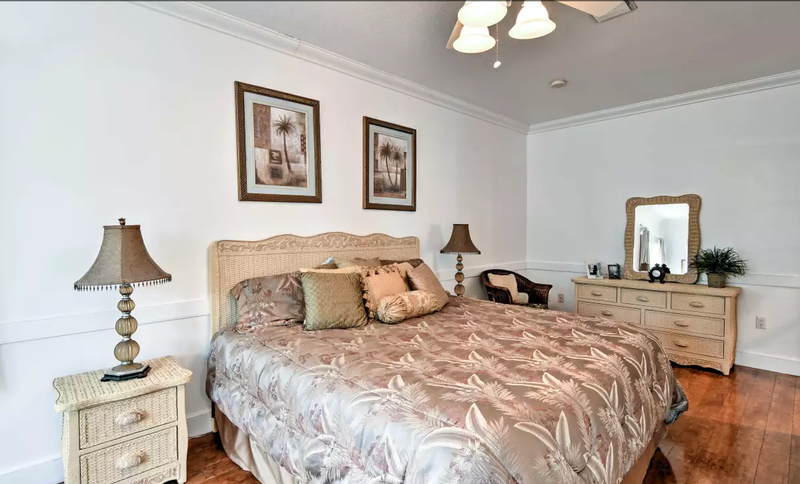 With amenities such as in-unit laundry machines, wireless internet access, and a gourmet kitchen, you’ll feel right at home on your beach vacation. 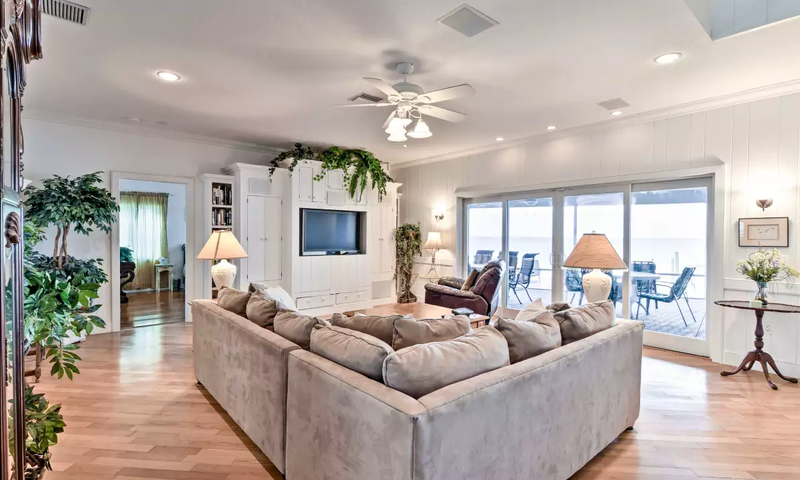 You’ll love taking in the Gulf views from the light and airy living room! 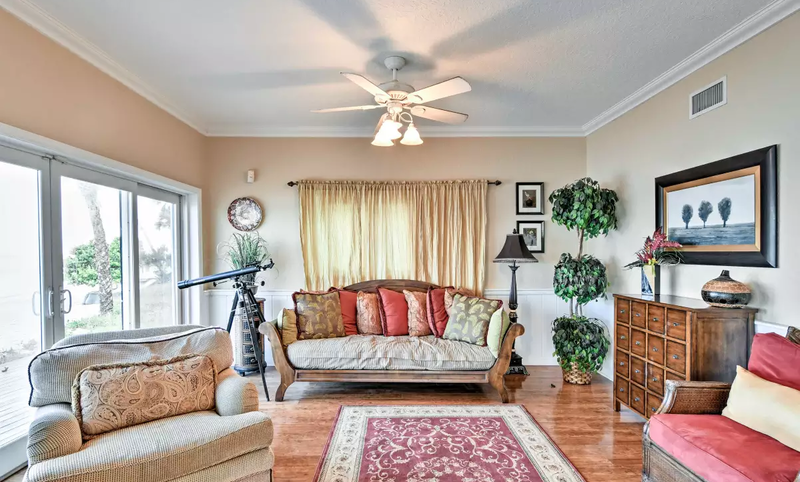 Unwind on the plush sectional couch or leather recliner while keeping up with your favorite shows on the high-definition flat-screen cable TV with a Blu-Ray DVD Player or enjoy a new novel from the staircase library. 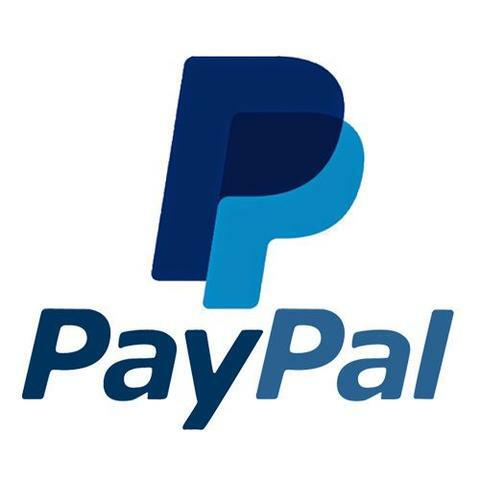 Take care of any looming business matters in the professional office area. 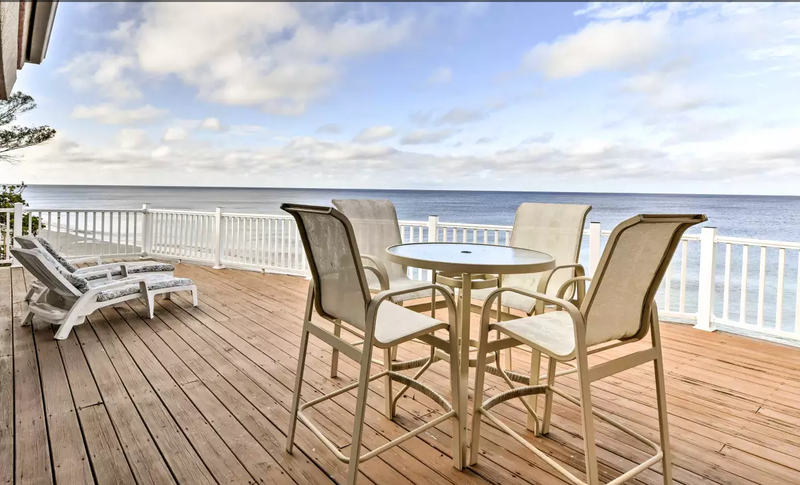 Venture out onto the screened-in deck to enjoy a glass of wine in the breezy, coastal air. Snack on hors d’oeuvres around one of the 2 patio tables before cooking out on the gas grill. 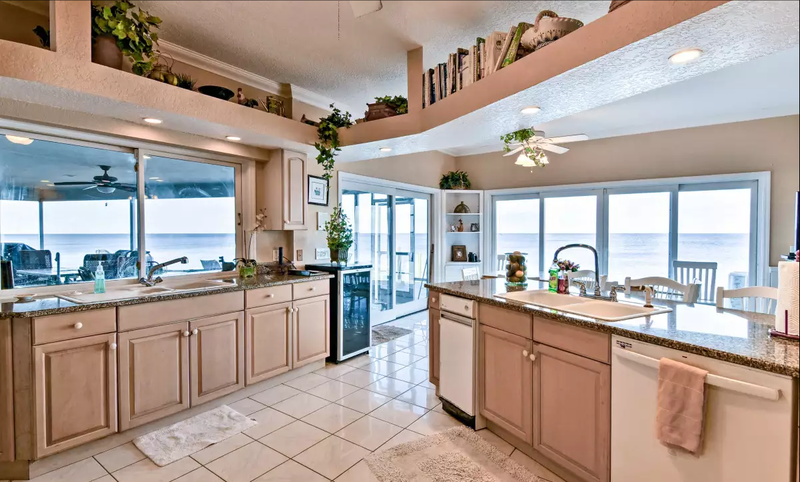 As the chef of the group prepares dinner, step out onto the wooden deck where you’re sure to see dolphins in the ocean or a great blue heron with some other feathered friends! Travel upstairs to access the expansive deck where you’ll enjoy tanning under the bright sun. 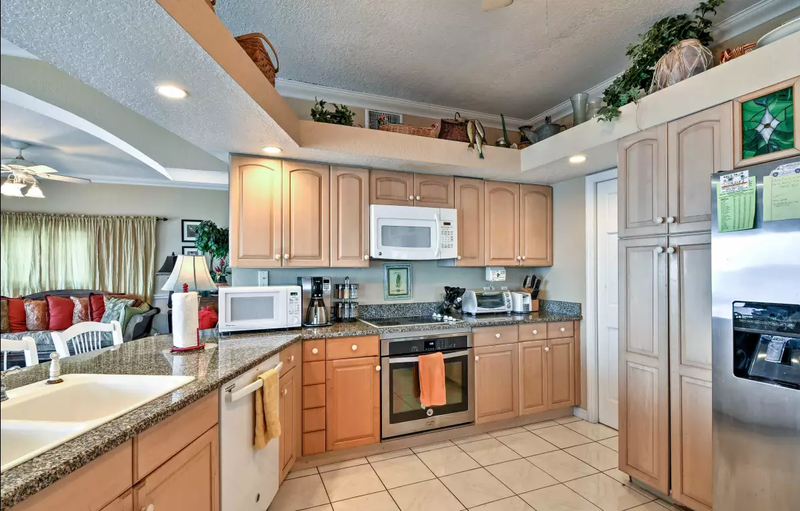 Inside, the fully equipped kitchen is ready to handle any of your home-cooking needs! 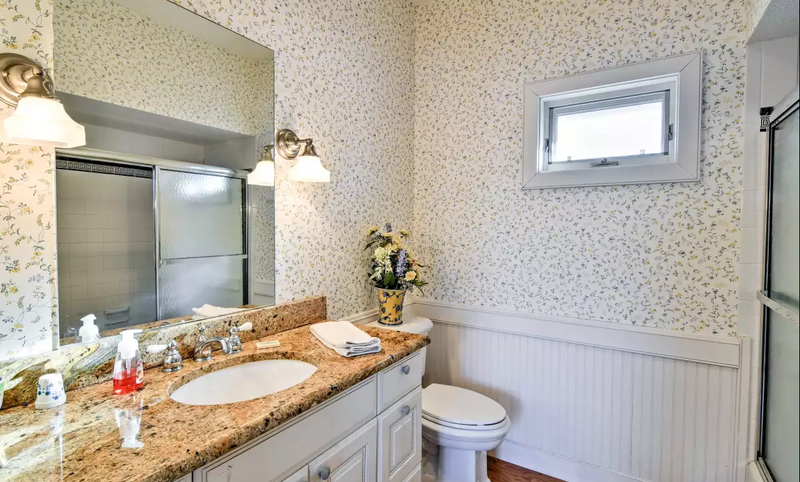 You’ll be able to effortlessly feed everyone’s cravings with the help of essential appliances and ample granite counter tops. Savor breakfast and coffee at the 3-person bar and hearty feasts at the 6-person dining table. 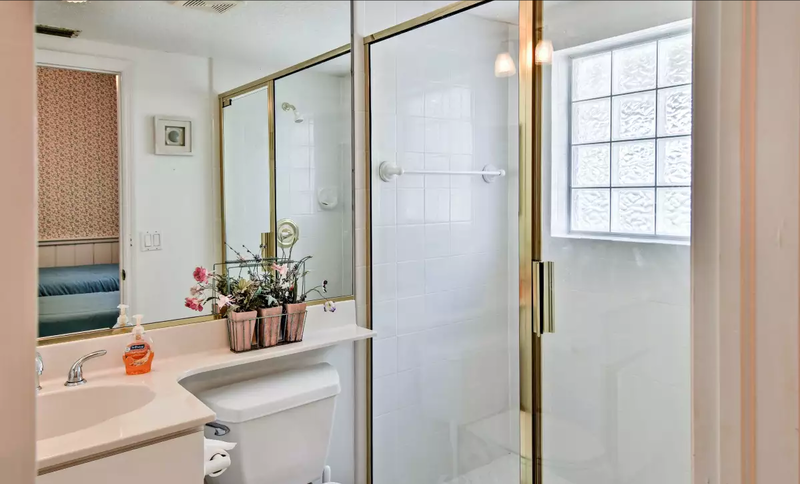 This home features 3 bedrooms upstairs, and 2 bedrooms downstairs. 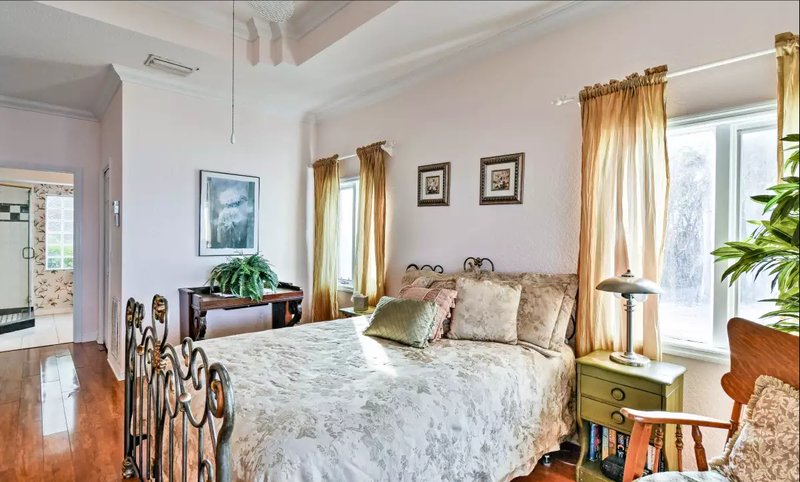 Upstairs is the main master bedroom, complete with a plush king bed, a HD flat-screen TV and an ensuite bathroom with a jetted garden tub. The two upper-level gust bedrooms host the twin and king beds. 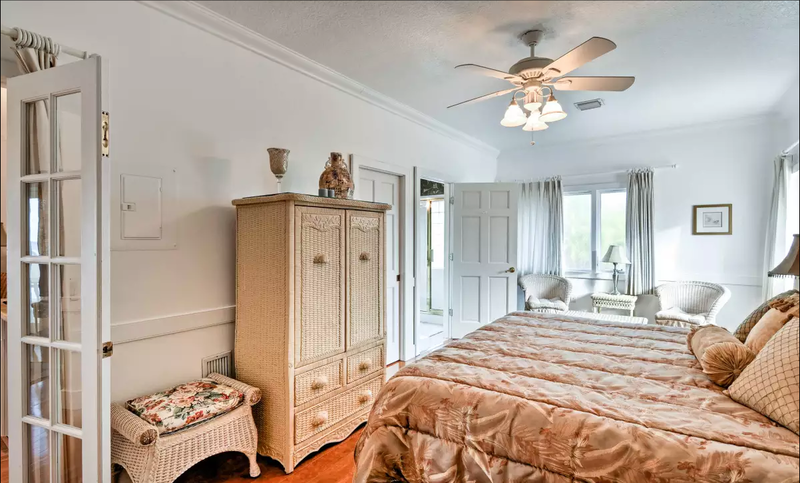 Downstairs, a second master bedroom includes a queen bed, a flat-screen cable TV and an en-suite bathroom with a walk-in shower. 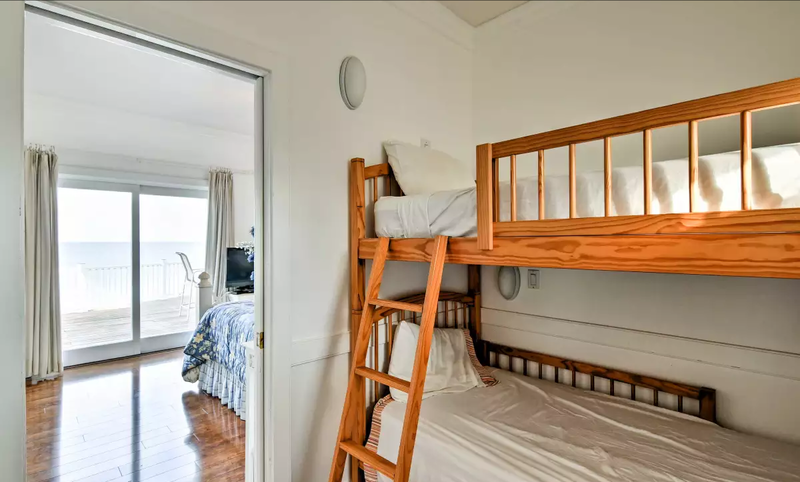 A cozy sleeping nook sleeps 2 in twin-over-twin bunk beds. 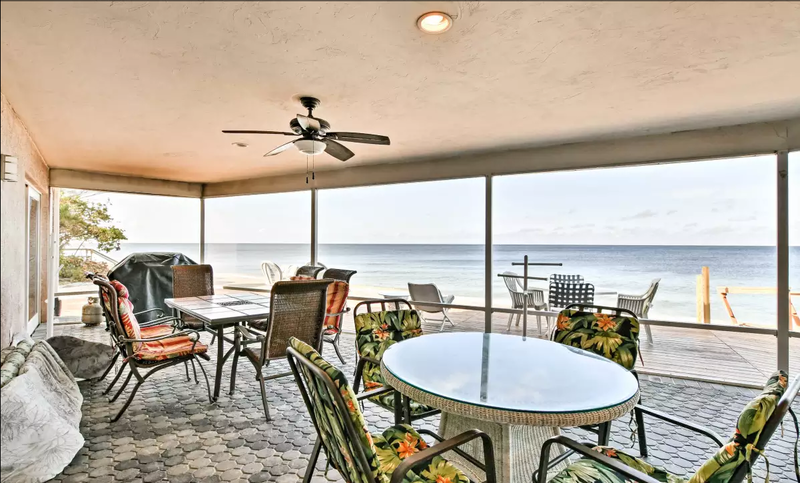 Located on the shores of Manasota Key, this vacation rental house will provide you and your fellow travelers with private beach access along with quick trips to restaurants, shops, and other major attractions in the nearby area. 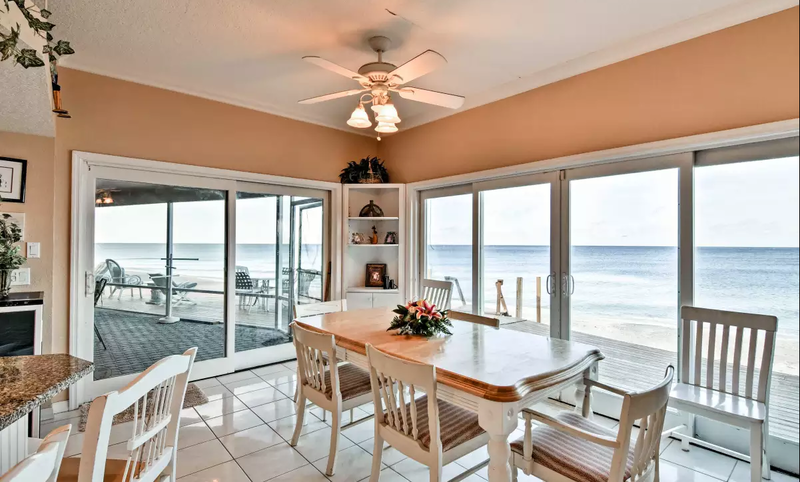 You’ll love stepping off of your private porch onto the white sands of this beautiful beach to relish in all the ocean has to offer. 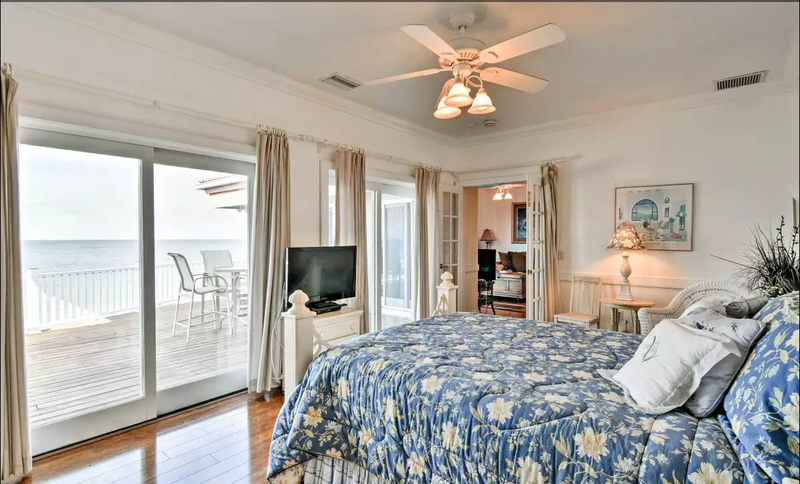 During the day, everyone will love boogie boarding on the gentle waves and lounging in the provided beach chairs while always having the option of returning inside to cool off. In the evening, stroll the coastline in search of the perfect seashell as you take in the colorful sunset over the Gulf of Mexico. For a change of pace, travel to one of the state parks nearby for scenic hiking, recreational activities, and wildlife viewing. Roughly 5 miles away, Stump Pass Beach State Park offers guests a chance to visit undeveloped Florida coastline where they can find shark teeth and catch a glimpse of manatees, tortoises, and egrets. Visit Don Pedro Island State Park for fishing, snorkeling, and kayaking. After a full day on the beach, check out the various shops and restaurants located within a short driving distance of the house. Listen to live music while dining on the coast at Snook’s Bayside Bar and Grille or travel down the coast to Sandbar Tiki & Grille for delicious seafood and cocktails. For great souvenirs, head to Barefoot Trader, Inc.!